Shamelessly lifted! Unabashedly modified! But Beautifully Scripted …….from the original ‘Can’t Stop the Feeling’ by the venerable Squire Justin Timberlake! Only a heart runner can perfectly fit his love for running in his music! 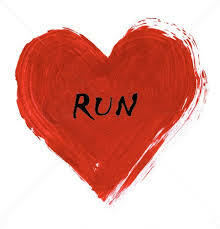 The perfect Valentine’s day special for all the Runners out there!